BE SURE TO LEAVE A COMMENT OR ASK A QUESTION TO BE ENTERED IN TODAY'S DRAWING! If I was to ask what is one of the most expensive entrée on a menu, I’d be willing to bet the majority of us would say lobster and in most restaurants we’d be correct. But what would you say if I told you that back one hundred and fifty years ago that wasn’t the case? There were times after summer storms that coastal people would wake up to hundreds of stranded lobsters. 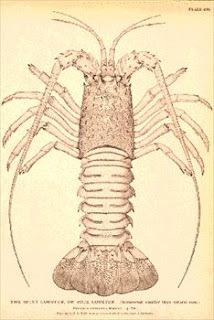 The lobsters would wash up on shore and be unable to return to the sea. The promised stench of hundreds of pinching crustaceans dying on the beach motivated the locals to grab their shovels and wade through the writhing lobsters with their strong claws in an attempt to scoop them up and throw them back in the sea. When you are picturing this mass of crawling, pinching creatures you need to understand that these are not the two pound lobsters we see in the supermarket and at tanks in restaurants today. These were like the goliath of lobsters. Giants that could reach well over twenty some pounds. Oh my goodness! Can you imagine such a beast? But back 150 years ago they were as plentiful as the sand crabs on the beach. On an average day that a north easterly or a strong storm didn’t wash up several wagon fulls of them, lobsters could be gathered out of small tide pools along the shore. So with the lobster so plentiful I bet you’re thinking the people must have ate well. Perhaps they did and perhaps they didn’t . It would depend on who you talked to. See it all goes back to that age old thing called supply and demand. They had more lobster than they knew what to do with so the mammoth sea creatures were considered garbage food much like carps are considered the garbage fish of the lakes. They were used for fertilizer to help enrich and nourish the ground of their gardens. An easy catch, they were also used for bait to catch fish they would serve at the dinner table. So where have the lobster gone? The tin can and the railway were the demise of the lobster. 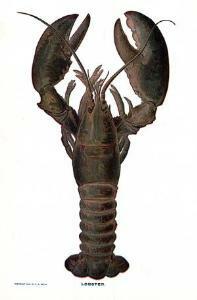 In the early 1840’s America started canning the crustaceans (anything under 6 pounds was not considered worth using). They didn’t taste good, blackened and salty, but they were good protein and sent out west to miners. Then as the railways reached to different corners of our country—places that had never seen a live lobster—they were shipped live. People loved this new and unusual delicacy. Restaurants started serving fresh lobster and the demand soared. I'm giving away a Mango Bath Basket and a copy of Before the Season Ends by Linore Rose Burkard. You can relax in the tub and read! If you love a good Regency be sure to leave a comment or ask a question on this post to be entered to win Linore's book and your personal mini mango spa! Giveaway Ends April 14th! Fascinating information! I love the part about not having lobster shells about the house. And since I love mango and Regency - I hope I win the giveaway. But most of all, I'm glad I read this riveting post. I learned a lot! Thanks so much Karla! I'm glad you enjoyed it. Please come back and leave your email so I can contact you should you win! Good luck! It sounds like the giveaway package and you are a perfect match! Who knew??! Never having had lobster myself, I've always thought of it as the rich person's food. Funny that it was originally the other way round! Oh I know! I could always find my boys around those tanks. It was like a magnet for them. It is funny how supply and demand really plays a part in our likes and dislikes. It isn't like the quality of lobster changed just the perceptive of them. Love lobster dipped in butter! We used to buy poor man's lobster which is Monk fish, however that is rich man's lobster now. LOL. Last time I went to get some it had out priced what I was willing to pay. Carrie! Thank you for coming by! I LOVE Tamela!! Thank you for sharing my excitement. So we are sisters now? How cool is that?!!! Hey Paula! Thanks for coming by. Oh I love Savannah and Charleston. Everything i write is set in those areas. LOL! WEll, nothing wrong with a good steak! I like lobster as long as I don't have to see him before I eat him. Something about that makes me want to just let him go back into the sea. I'm just a softie when it comes to animals. I loved the story about lobsters. Who would have known? LOL. I've been to Maine several times, and we have always stopped at roadside stands for fresh lobster. One of my favorites, and a bit more affordable than in a Grand Rapids restaurant! What a beautiful giveaway! Thank you for offering this lovely contest! Hey Nancee! We went up to Kennybunkport and ate at a little mom and pops place. What was really cool about it was it was where George Bush would go to eat. They had pictures on the wall. Very fun! And of course the lobster was great! Not so sure about the lobster - I am really not a fan....lol However, I am getting a brand new bathtub, and might be enticed to read in it if I win the basket. :) Thanks for the giveaway and another tidbit of history! Thank you Anna. It's amazing how much cool history is out there. I mean I never would have thought I'd find such interesting stuff when I started researching fishing and crabbing! Gotta love history! Good luck! Thanks for coming by! It's great to see you here, Kathleen. Good luck on winning! No need to enter me into the contest. I already own Linore's book. God bless. Awe thanks for stopping by Chaplain Debbie. I'm glad you enjoyed the post! I know right? Love a good lobster bisque soup. And just think the butter they had to dip their lobster in! Oh my goodness. Fresh sweet butter. Yum!!! Interesting blog - just goes to show that we can get too much of ANY good thing! Thanks for the opportunity to win the book & bath basket! Yep that's right, Bonnie. I guess just like the Israelites and the quail. Good luck! LOL! I just mentioned the quail. heehee. Yep must have been. I guess it's easy to get tired of anything, if we have to eat it day after day. My oh my! I haven't eaten a whole lobster for years! Interesting article! Thanks Kay. I guess we can get tired of anything. But I'm more a person who can eat the same thing over and over and not tire of it. But over years I probably would. Who would have know that? I love history thanks for sharing today's post. It was very interesting. I'm not a big fan of lobster but I know some people in my family who would love to have one of those giant lobsters. I love to relax with a good book in the tub. You can forget your worries for a little while. Thank you for the giveaway. I agree - I never knew that about lobsters...that was so interesting...I love reading stuff like this and sharing with my family over a dinner meal - it usually start out with "Did you know...?" thanks for the giveaway too. Heehee. Thanks Eliza! I find this kind of stuff fascinating! Good luck on the giveaway! ahhh a soak in the tub with your mango gift basket goodies sounds lovely....of course reading your book. I also LOVE lobster. When we were kids we had TORSK...which mom called "Poor Man's Lobster"...cod fish I believe...she boiled, and added butter and lemon to. It was good too. Do you enjoy lobster? Do you fish? Woah, I cannot imagine seeing those big things on the shore - especially trying to shovel them back into the water!! Boy, the things you learn while researching. Thanks for a fun post! LOL! Can you imagine walking on the beach at dark? It'd be enough to keep me off the beach. Thanks for coming by Susan. Good luck on the drawing. 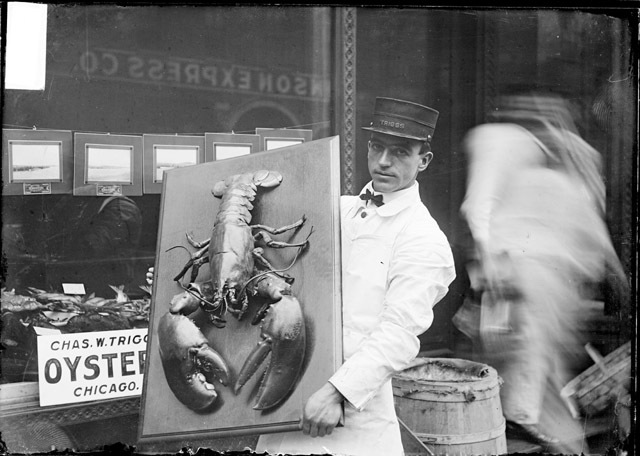 I really had no idea that lobster eating had such a history or that they were garbage seafood. Did you do the research about lobsters for a book or something specific? It was fascinating, thanks for sharing! I was doing research for fishing/crabbing and ran across this tidbit. It was so interesting that I got side tracked. Lol. Thanks for coming by and good luck! Debbie, that is so interesting. 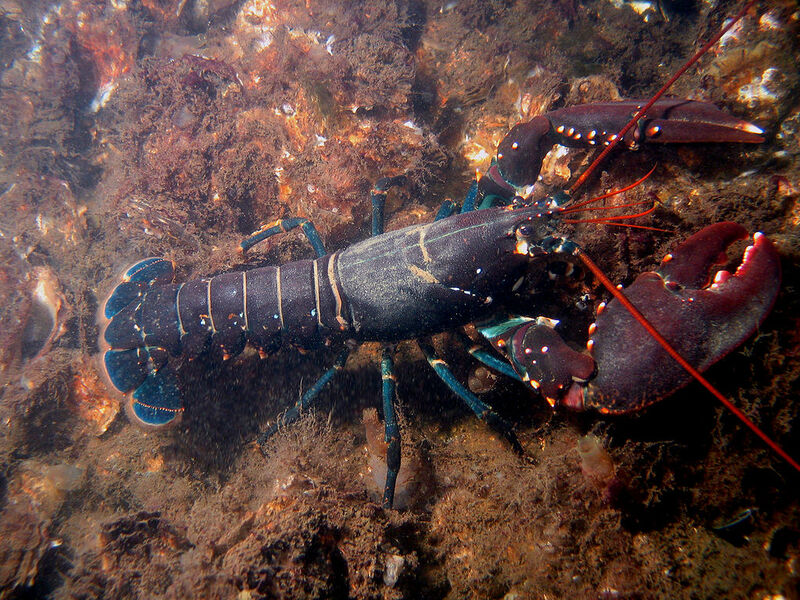 To think that lobsters were unwanted and then were food for the poor. Today, that thought is reversed as lobster is costly due to the method of catching them. Hey Deanna! I know. Just think if we could pick up our lobster off the shore! Thanks for coming by, and good luck! I'm finally able to get my tail caught up with all the lovely posts here on the Society!! It's been a whirlwind since Eastertide, that much I can assure you! Oyy. And, yes, I absolutely adore the Regency! When I was younger, I used to try to collect the short story collections simply called: A Regency Christmas! They had numbers attached to them too! Such as the kind seen here: http://www.fantasticfiction.co.uk/p/mary-jo-putney/regency-christmas-ii.htm. 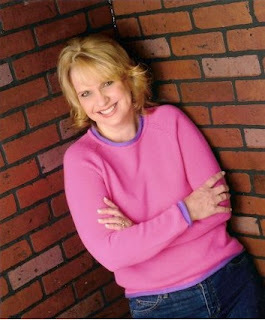 Now, I didn't know of the names "Mary Jo Putney or Mary Balogh" as I do today -- as this goes back to the early 90s, but what caught me up in the Regency world were the gentlemen and ladies who populated the stories! This of course, led me into Jane Austen and all the lovely authors of the 19th century! I'm not even sure if I was able to get all the editions of those Regencies, as I think I only have II and IV! Laughs. This is long before we had Powells or Better World Books, or Out of Print searches available online! As much as the 'used book shoppe' wasn't exactly nearby or popular as they are today! Isn't it interesting how things change in such short order!? And, like the lobster, used books are just as high in demand now as the curious creatures who make me smile! I am still not sure how I'm going to be able to 'try' lobster knowing wells,... how they have to be cooked!? Sighs. At least they are monitored these days and they do not over harvest them! :) I didn't know of the full history, as I am still in the beginning stages of learning more about the lobster trade, so I appreciated your foothold on this topic! OOh my! I did a search for *Regency Christmas* on Better World Books and guess what!? There are a heap to gather still!! Eek. Thanks for reminding me of a bit of joy I used to have in my younger years that I now can resume!! Wicked! I'd be delighted to win a book held within the Regency era! Hey Jorie! Let me guess, you love Regency. LOL> So many Regency lovers out there. You are not alone! Do you get Linore Rose Burkard's Regency News Letters? If not, you will love them! Just go to her website and sign up. Linore knows Regency like the back of her hand and sends out lovely newsletters filled with Regency information along with beautiful pictures! And so glad you are back with us here at The Society! Good Luck! Living in Maine, I've long been fascinated by the history of lobsters. It really has changed over the years, hasn't it? It is my absolute FAVORITE food. I've seen some of those gigantic shells in person at local museums that they are amazing to see. This was a wonderful post! Great website! Thanks for coming by Carla and I'm so glad you enjoyed my post! I would love to see some of those gigantic shells in person. AND THE WINNER OF THE MANGO BATH BASKET AND BEFORE THE SEASON ENDS BOOK IS...KATIE J!! CONGRATULATIONS, KATIE! I'VE SENT YOU AN EMAIL. PLEASE SEND ME YOUR ADDRESS SO I CAN MAIL YOU YOUR PRIZE! !